ChemiSyn is one of the leading Chemical company with the goal to be versatile in the field of Pharmaceutical / Chemicals / Specialty Chemicals to Intermediates to Active Pharmaceutical Ingredients (API) & Finished Products, in Developing, Contract Manufacturing, Custom Synthesis, Outsourcing, Trading, Supplying, Repacking, Wholesaling and Distributing products for the Pharmaceutical, Bio-Pharmaceutical, Agro Chemicals, Dyes & Chemicals related Industries. Based on our expertise in organic synthesis and process development and our control over the entire supply chain, we bring to you high quality bulk actives and Intermediates at extremely competitive prices. 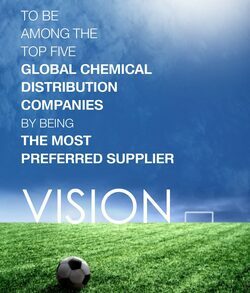 We are one of the leading chemicals traders. We have vast range of Various Bulk Chemicals which we directly import, stock & sell. Apart from this we also indent these products for our reputed clients. We hold agency agreements with renowned companies based in India & abroad to market their products all over India. In the areas of Custom and Contract Manufacturing Services, collaborative partnerships with complementary Pharmaceutical and Chemical companies are yielding rich results, these companies are forced to view outsourcing or contract services as an important part of their manufacturing strategy. 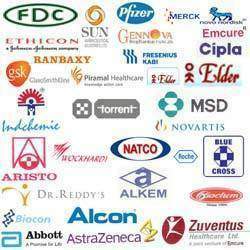 We believe these partnerships will positively impact any and all phases of our portfolio .Based on our expertise and our control over the entire supply chain, Pharma Chemicals leverages its India cost-base together with its extensive expertise and technology platforms to offer Competitive, High Quality, Custom & Contract Manufacturing Services to a global clientele. We welcome any Pharmaceutical Intermediates, API & Chemicals Enquiries. We can also procure Agro Chemicals & Intermediates, Dyes Chemicals & Intermediates, Specialty Chemicals, Bio Chemicals, Fine Chemicals and Industrial Chemicals & Solvents inquiries & also procure and can arrange for tailor-made product as per your requirements. ChemiSyn has been continuously working on sourcing products from various reputed manufacturers across the globe to market their products in India. Based on our expertise and our control over the entire supply chain, we bring to you high quality bulk actives and intermediates at extremely competitive prices. We have Contract Manufacturing, Custom Synthesis, Distributing, Repacking, Trading and Commercializing facilities. Our control over the entire supply chain, we bring to you high quality bulk actives and Intermediates at extremely competitive prices. Our core team consists of qualified professionals, who are experienced in various aspects of the pharmaceutical / chemical industry. All of our employees share the vision of a better future, as well as the progress and success of our organization. 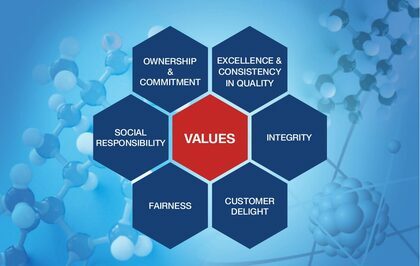 The performance acclimatized work culture and accountable working approach of our company attracts top professionals, who strive to strengthen the organization's image as a global leader in the chemical industry. Dr Rajendra R Patel (Ph.D.), CEO & Managing Partner of ChemiSyn, has extensive industrial experience in the Pharmaceutical and Chemical industry. 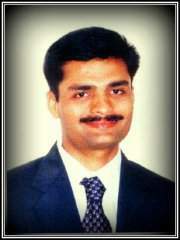 He holds a Ph.D. (Chemistry) & M.Sc (Chemistry) degree from South Gujarat University. He is building and leading an organization through accelerated growth, expansion, product development and market differentiation to achieve/surpass aggressive revenue and profit results. Combine Creativity with Strategic and Tactical Initiatives to drive Domestic Market Penetration & deliver Strong Results in Competitive Indian & Global Markets. To lead from the Intersection of Marketing & Technology to create Valuable Markets, Products & Customers. Copyright ©ChemiSyn. All Rights Reserved.